Amazon's Ring is omnipresent in smarthome security, and the Spotlight Cam Solar is an attempt to further cement that position among picky iOS and Android users. 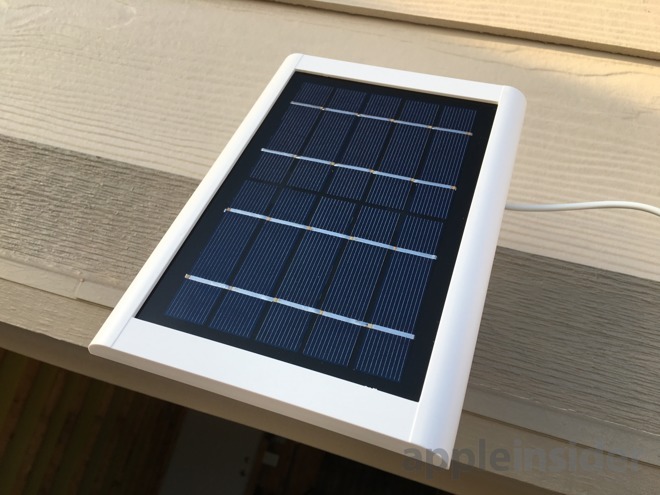 As it turns out, the Solar is essentially Ring's existing Spotlight Cam Battery, but bundled (at a discount) with a solar panel accessory that fixes the original's main weakness: maintenance. On its own the Battery needs to have its DSLR-style battery pack periodically recharged. This isn't just an inconvenience — you may temporarily lose coverage unless you have a spare battery, and in any circumstance you'll have to mount the camera in a reasonably accessible place, making it more vulnerable to tampering. 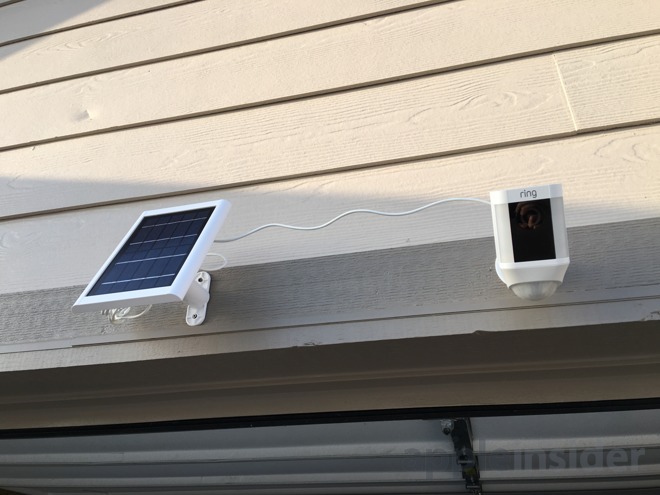 Because the Solar recharges its battery pack independently, you can put it anywhere your initial installation allows, then forget about it. The installation process takes about an hour, but is relatively straightforward thanks to video-enhanced guidance provided on Ring's YouTube channel and in an official iPhone and iPad app. The company supplies all of the necessary tools including bits and screwdrivers, though you might still want to bust out a power drill, especially if you're working with anything tougher than wood. The iOS app is, as it turns out, a highlight of the Ring package. It's extremely well-organized, making it very easy to toggle settings and track alerts and power status. There's even built-in access to Ring's Neighbors platform, where individuals and police share footage of suspicious incidents. Some posts tend to be a little paranoid, but it's at least good to be aware. One thing we had to do right away was narrow the focus of the Solar's motion zones. The camera has a wide field of view, and by default triggers push notifications for a good portion of that. Even with a narrower cone, detection seems sensitive — we would get notifications and scan footage only to discover that it had been set off by something like a distant bird. 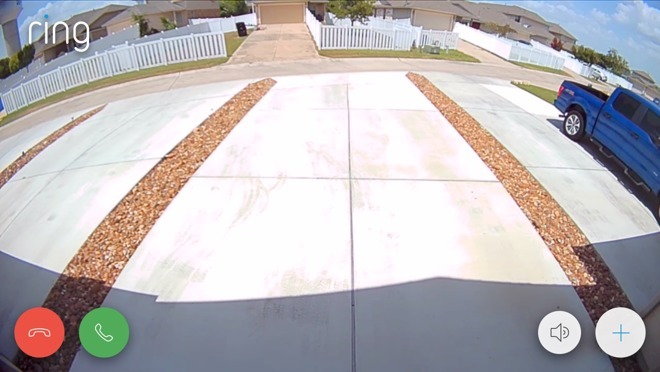 Saved footage (or the lack thereof) is one of several issues we'll go into later, but right now we should note that the camera does not support Apple HomeKit. You'll be relying primarily on first-party notifications, since there isn't even a Web portal for viewing video. The camera does of course support Amazon Alexa, meaning that if you have an Echo Show or Echo Spot, you can ask Alexa to show you a live feed at any time. Just be warned that the camera's namesake spotlight comes on if you watch at night, which could be annoying to neighbors. Keep following AppleInsider for a full review later this month.